The OPPA Juror Development Program details the process of becoming an approved OPPA Competition Juror. These guidelines are used to establish a pool of qualified jurors for use in OPPA image competitions and are administered by the OPPA Juror Oversight Committee. Must complete Intent To Enter OPPA Juror Program application and return to the OPPA Juror Oversight Committee (currently led by Bryan Welsh). Be an OPPA member in good standing. Attend “Competition Tips” class and “Seeing Through the Eyes of an Image Competition Judge” class or equivalent OPPA sponsored classes. Have earned at least 6 OPPA exhibition points. A Level 1 Juror is entitled to begin serving as a juror at OPPA competitions on a limited basis. This enables the Level 1 Juror to begin experiencing the judging process. Perform at least two approved and evaluated front row judgings at OPPA competitions. Must enter at least two OPPA or other PPA affiliate competitions during the past 12 months. After this status is achieved, the Level 1 Juror can begin receiving real-world experience in the “hot seat” by being cycled through a competition juror panel on a limited, shared-seat (2 or more jurors-in-training alternating at each rotation) basis. Note: Neither OPPA merits (nor PPA merits) for judging are not granted to shared-seat judging. A Level 2 Juror may sit on a competition panel and perform the duties of a full juror. The Level 2 Juror will be evaluated and critiqued by the Jury Chair. Be a Level 1 Juror for at least one year. Be an OPPA member in good standing for at least one year. Serve as a Level 1 Juror on at least two competition panels. Receive at least two one-on-one evaluations from an active Jury Chair. Must compete in at least 2 OPPA competitions in the last 12 months. An Active Juror may serve on unlimited OPPA competition panels with all of the rights and duties of a competition juror. Active Jurors may also begin the process of becoming a Jury Chair. Be a Level 2 Juror for at least a year. 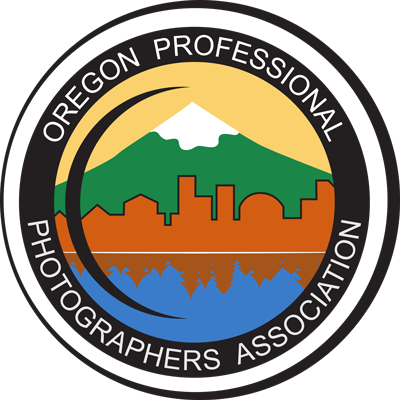 Earn the PPA Masters degree or the OPPA Associate Fellow of Photography degree. Enter at least 1 OPPA/PPA Image Competition within the previous 12 months. Judge in at least 1 OPPA/PPA competition in the previous 12 months. OPPA competition jurors will be selected from the following: OPPA active jurors, OPPA Jurors in training, PPA approved jurors and PPA jurors in training.